MISSION — A teacher who was placed on leave following accusations of having a relationship with an underage student turned herself in to police Thursday. 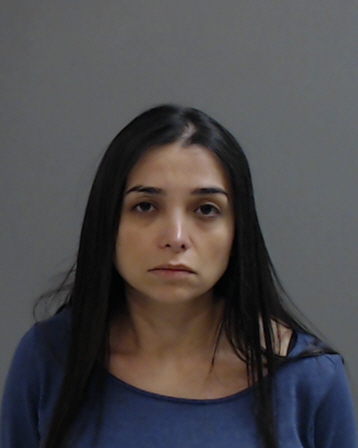 Edna Mabel Longoria, 39, of McAllen, is charged with improper relationship between educator and student, a second-degree felony punishable by up to 20 years in prison and a $10,000 fine. Longoria is a health science teacher at Mission Veterans’ Memorial High School, according to Craig Verley, spokesman for the Mission Consolidated Independent School District. School administrators notified a Mission Police Department school resource officer on March 21 of an allegation made by at least one student that Longoria had been engaging in a sexual relationship with a male student, according to a police news release. The 17-year-old student in question claimed to police investigators that since late February, he had allegedly engaged in multiple sexual encounters with Longoria in a high school classroom on campus, according to the probable cause affidavit. Investigators “located multiple biological fluids” from the classroom where the encounters occurred, the affidavit continued. Longoria’s attorney, Terry Palacios, did not respond to a request for comment. She was released from jail Thursday afternoon on a $50,000 bond.